If you are willing to buy a home in Mumbai, you can pick from a number of available choices. The demand for Property in Mumbai is high, due to enriched social infrastructure in the city. The high commercial importance of the city is one of the key factors behind the popularity of properties here. The reputed developers have come up with several residential complexes in the area in recent years. The apartments are elegant and come with a wide range of amenities. Investors and homeowners from various parts of the country are interested in these apartments. Particularly, Residential Apartments in Vasai Mumbai are in great demand, due to the location advantages of the region. The residents can reach the important places in the city in quick time from the residential complex. These estates come with green living facilities. 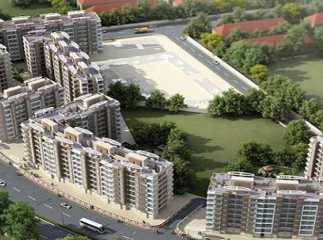 The residents will enjoy the landscaped gardens and green cover in the residential complex. The transportation system in Mumbai is well-developed. The residents can navigate through the city with ease. The commercial importance of Mumbai is high, and the residents can enjoy the extensive employment opportunities in the city. The residential complexes come with a wide range of amenities. These include swimming pool, gym, jogging tracks, cycling tracks, various indoor and outdoor games, clubhouse, and much more. Children can enjoy their time in their dedicated play areas. The prices of properties in Mumbai are rising. Residents are shifting to the ready to move projects in Vasai Mumbai . For investors and homeowners, this is the right time to make the investment. Get a luxurious home in Mumbai, close to the commercial hubs of the city.